The evening of Wednesday, May 16, there are four wonderful events at Mayer Lutheran High School. We invite the entire school community to join us for an evening that celebrates the God-given talents that our students possess. 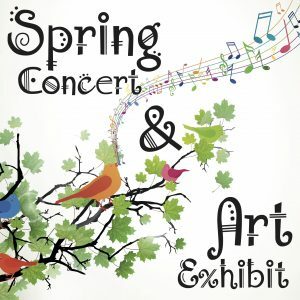 Mayer Lutheran’s Fine Arts Department will hold the Spring Exhibition to showcase the artistic talents of our students. This year there will also be selected works of art from our Lutheran elementary schools on display. Doors will open at 5 PM. The 2018 Awards Assembly will be held at 6 PM in the Fine Arts Center. Many awards will be handed out during this program. The Spring Concert will begin at 7 PM. Come and enjoy the vocal and instrumental selections that have been prepared for your enjoyment. Following the concert there will be a “retirement reception” to celebrate Mr. Gary Loontjer’s ministry at Mayer Lutheran High School. Please take advantage of this opportunity to thank and congratulate Gary.